Cool Harry Potter money tin makes a great gift idea for kids who would be wizards. 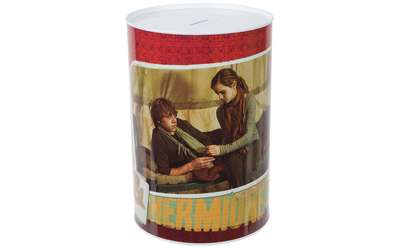 Based on the last film in the series, Harry Potter and the Deathly Hallows, the money tin shows a scene from the film of a wounded Ron Weasley with Hermione by his side. With a money tin this size, they could be saving up for next year and buying you a gift!